The following cruises can all be booked by us on your behalf, call us on 08 9246 1039 for more information and to book. Alternatively you can complete the enquiry form and we will endeavour to get back to you within 24 hours. 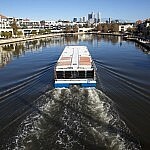 Captain Cook Cruises operate cruises daily out of Barrack Square in the Perth CBD as well as Fremantle. 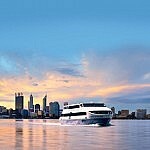 Cruise to Fremantle while enjoying the wonderful sights that can only be viewed from the Swan River. Detailed Captain’s commentary and tea and coffee included throughout your cruise. 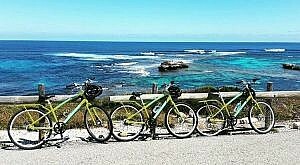 Make a day of it in Fremantle with free time to explore our Port City. 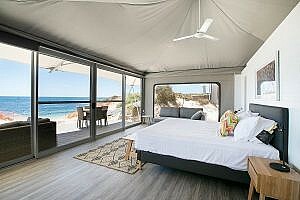 Explore the Cappuccino Strip, Fishing Boat Harbour and the many sights and museums Fremantle has to offer. 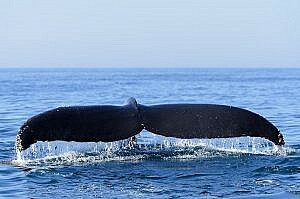 Discover the delights of the Swan River cruising between Perth and the Port of Fremantle (and return). Enjoy tea and coffee as your Captain points out all the sights along the river. 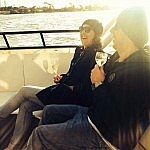 On the return trip to Perth, enjoy a wine tasting of premium WA wines *. * Wine tasting on 12:30pm and 5:00pm returns only. On the cruise between Fremantle and Perth, lunch is served comprising of local prawns, continental meats and a range of hot and cold dishes. Enjoy a complimentary beer, wine or soft drink with your meal and the ever changing view of the Swan River. 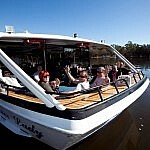 Experience the Swan Valley as never before with our acclaimed wine cruise up the Swan River! You’ll be treated to a delicious, filling two course lunch from the coveted Sandalford Estate followed by an exclusive behind-the-scenes tour of the winery and a one of a kind wine tasting! All of this is capped off with live entertainment and tantalizing desserts. 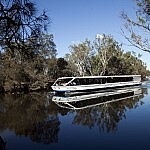 Captain Cook Cruises’ wine cruise is a fantastic way to spend the day with friends and family as you cruise along the river and get to know the Swan Valley a different way! Relax and enjoy the enchanting atmosphere of an evening set against the lights of Perth and the Swan River. Buffet dinner, beer, wine & soft-drinks included with live entertainment. 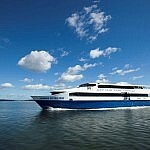 Departing Perth Thursday, Friday and Saturday nights year round. Operating every Wednesday, Friday and Sunday (September through to May) enjoy a leisurely 1½ hr cruise around the river, highlighting the city sky line.